WE’VE GONE BACK to our roots here at TheJournal.ie’s cute animal picture division. You may not remember but the Friday slideshow started out way back in November 2011 when we wanted to show the nicer side of the donkey after it had gotten a bad rap in the news. And it all sort of evolved from there. Since those early days, we’ve featured little known creatures such as capybaras, sloths and anteaters, as well as the under-appreciated gerbils, ferrets, foxes, squirrels and hedgehogs for, well, no good reason except that it was Friday. Who said we were enemies? Email “It's Friday (the 13th)! So here's a slideshow of black cats and kittens from around the world”. Feedback on “It's Friday (the 13th)! 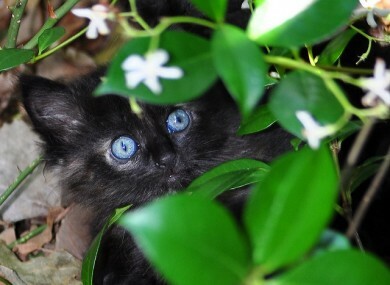 So here's a slideshow of black cats and kittens from around the world”.